Meanwhile, combine all ingredients, except the feta, in a large bowl. Drain the past well and, while it is still warm, gently stir it through the combined ingredients. Crumble the feta over the top and season well. 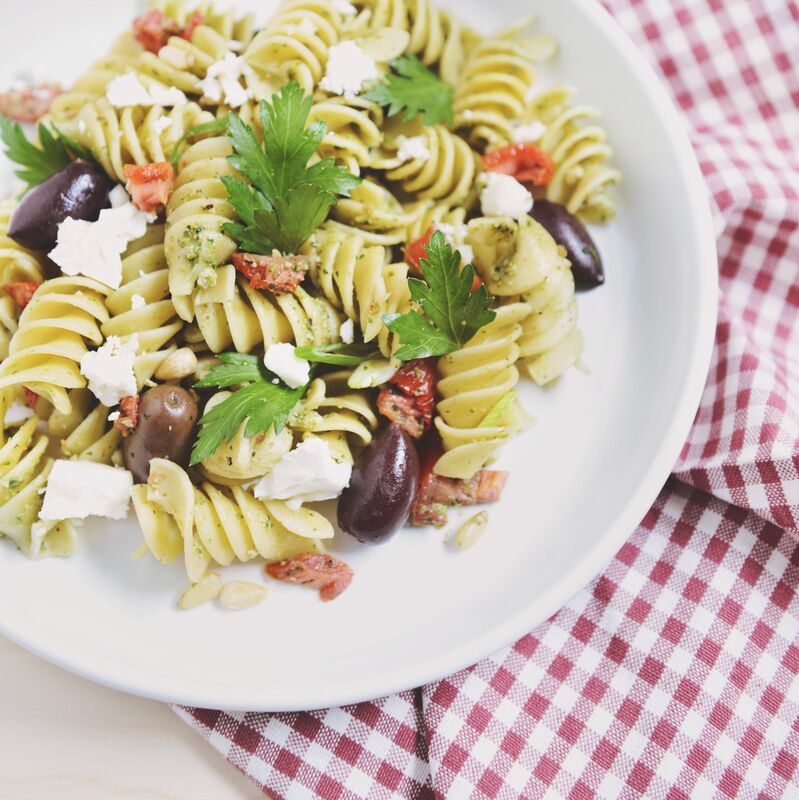 This pasta salad is great warm or cold, and can be stored in the fridge for up to 3 days. This dish is great warm or cold the next day!